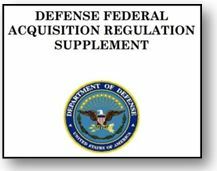 Pursuant to Sections 817 and 881(b) of the FY 2017 National Defense Authorization Act (NDAA), the Department of Defense (DoD) recently issued a proposed rule to amend certain sourcing restrictions found in DFARS subpart 225.70 and related clauses. Recognize that Australia and the United Kingdom of Great Britain and Northern Ireland (the UK) are now members of the National Technology Industrial Base (“NTIB”), thereby permitting the United States to acquire certain items (that are subject to the sourcing restrictions in 10 U.S.C. 2534) if they are manufactured in the UK, Australia, Canada or the United States [Section 881(b)]. Look back over the last say 25 years and see if you can remember the last time an agency publicly admitted defeat with a program or project and decided to move on. Don’t think about a contract that failed or even an act of Congress ending a specific program, but focus on a service offering that just couldn’t make it. It’s hard to find one. Right? This is why the General Services Administration’s decision to shut down its reverse auction tool on Dec. 31 is significant. GSA is pulling the plug after just over five years. A recent GAO decision has shed light on the question of what an agency must do to adequately promote competition during a simplified acquisition. There is still no bright line for determining which agency actions meet this threshold. However, the recent decision in Bluehorse Corp., B-415641 et al. (Feb. 6, 2018), established that merely inquiring about a solicitation, without taking further action as recommended by the procuring agency, is not enough to force an agency to include a company in a limited competition. To promote contracting efficiency, the FAR allows for special simplified acquisition procedures to be applied to certain procurements that do not exceed the regulatory threshold. An agency is not required to use the ordinary full and open competition standards to conduct these simplified acquisition procurements. 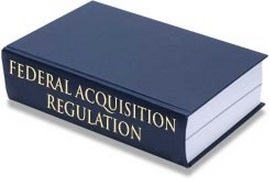 However, what exactly is required of a federal agency under a simplified acquisition procedure has yet to be clearly defined by the applicable provisions of the FAR and the relevant GAO case law. The FAR requires the agency to “promote competition to the maximum extent practicable” and establishes that this standard can generally be met through the solicitation of at least three sources. See FAR § 13.104.